A Map of Interesting Cape Cod. 1945. Two color (blue and white) pictorial map poster (lithograph), 21 1/2 x 32 1/4 inches on sheet 22 1/2 x 33 inches. Near mint condition. A scarce and lovely poster of Cape Cod, depicting a map of the island with a scroll cartouche at left and decorative border of island activities. Main roads and towns are marked on the map. Marked at lower left "Copyright 1945, Mary E. Murray Newtonville, Mass." Paris: La Mandragore, 1945. Paperback. #123 of 170cc. 127pp. 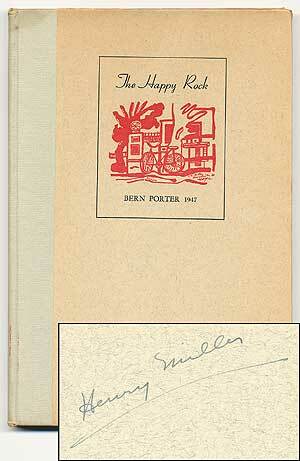 Loose signatures contained in publisher's illustrated wraps with an onionskin jacket. jacket has a three inch wide spot of loss at the spine and rear panel, else, overall very good. Lacking the box. Very good. Krejci, Sylva, and Krejci (Oskar) ; Burger, Adolf. Praha (Prague). 1945. Paperback. 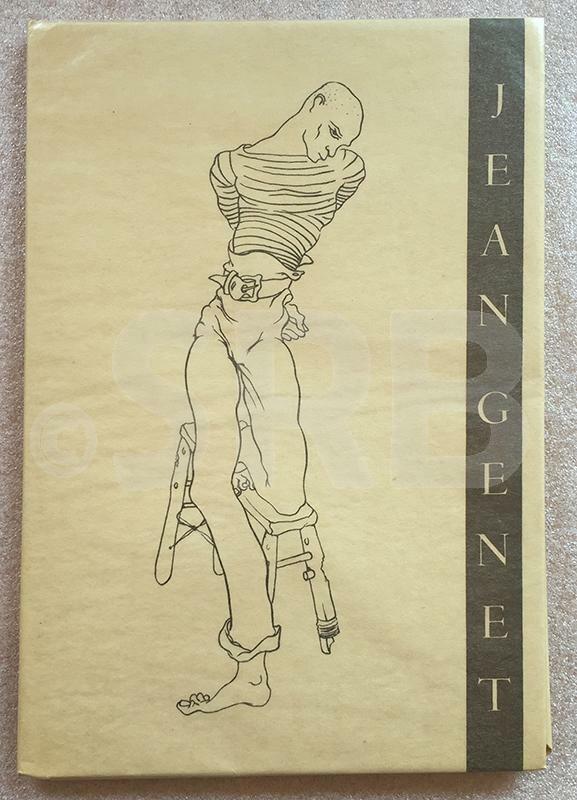 Original paper wrappers with colorful illustrated dust jacket, 8vo, 83 pages, plus 12 plates of facsimiles and photos of survivors taken by Burger just after liberation, (including one photo of former Sonderkommandos) . 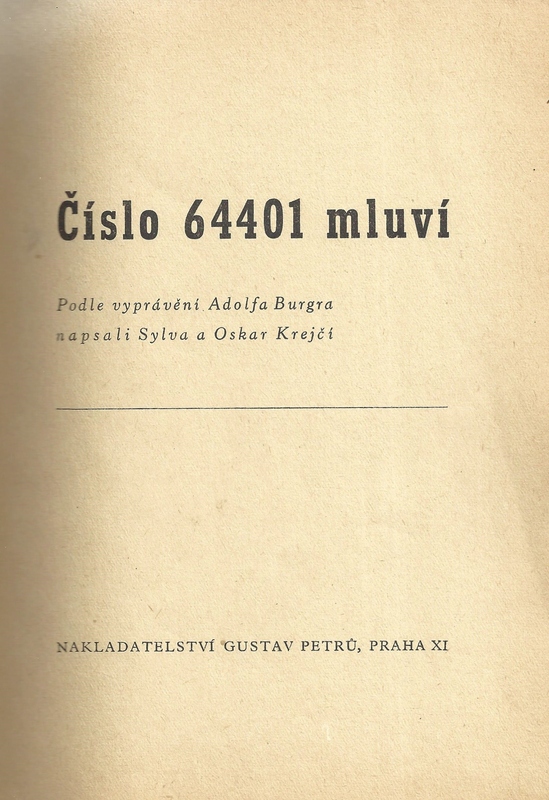 Original 1945 edition Adolf BurgerÂ’s memoirs about his journeys through the Nazi concentration camps and his work in the counterfeiting workshop in Oranienburg, narrated by Sylva and Oskar Krejci. His memoirs are the basis for the film, Â“The Counterfieters, Â” which won the 2007 Academy Award for Best Foreign Language Film. Â“Adolf BurgerÂ…took up a job in a printing house in Bratislava in 1938Â…he became one of those who received government-sponsored waivers from deportations as someone with skills indispensable for the country's economy. At the request of resistance members, Burger began to print false baptismal certificates for Jews scheduled for deportation, which stated that they had been Roman Catholic from birth, or baptized so before World War II. Slovaks with such documents were not deported. Burger's activity was discovered. He was Â… deported to the Auschwitz concentration campÂ…After eighteen months at Auschwitz-Birkenau, Burger's training came through for him once more. He was selected for Operation Bernhard, transferred to the Sachsenhausen concentration camp in April 1944, and eventually to the Ebensee site of the Mauthausen camp network where he was liberated by the US Army on 6 May 1945 (Wikipedia, 2016) . 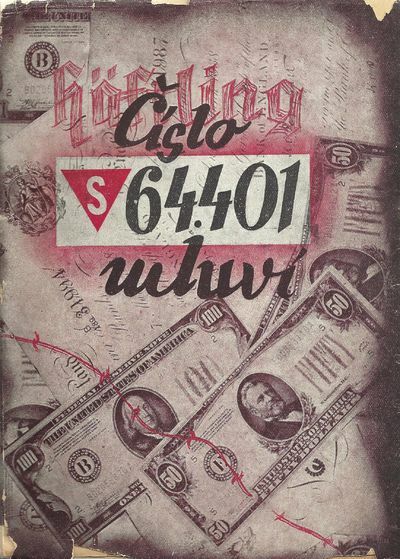 The covers use a montage design of US currency, British documents, and BurgerÂ’s concentration camp insignia. SUBJECT(S) : WWII, Resistance, Concentration Camps. Minimal pencil markings that do not affect text. Some tears to jacket at folds, Minimal stains and slight toning. Very good condition. Dramatic and attractive. (HOLO2-134-63A) . Wayneburg, Penna. :: Published for a Committee of the Greene County Historical Society,, 1945.. First edition.. Cloth a bit bumped and dulled and a trifle soiled; insect or rodent damage along the gutters of the final six map, damaging the map titles but not affecting the images; a good, sound set of a sturdy book intended for library use.. 3 vols, two in octavo and one in folio, original black buckram, gilt lettering, 884 pages + atlas volume of 81 maps. Folding map tipped to the rear paste-down of vol. 1, folding map included in the rear pocket of vol. 3, frontis in each octavo volume, numerous illus. and facsimiles. 12-page subscription prospectus laid in In 1932, one W. F. Horn of Topeka, Kansas, wrote to a newspaper in Washington, Penna., to say "I have in my possession several pages of interesting historical notes relating to the early history of what is now Washington County, Pa." And from this otherwise unassuming beginning came a seemingly endless supply of remarkable 18th century diaries, manuscript material and artifacts that shed new light on the early settlement of southwestern Pennsylvania and western Virginia. Horn became something of a celebrity in his ancestral homeland of southwest Pennsylvania, giving tours of since-vanished historical sites in Washington and neighboring Greene counties, providing material that gave new insights into previously puzzling events, and appearing at well-received talks throughout the region. Local historians--who had no reason to doubt the authenticity of Horn's material--decided that if a book could be hewn from the rough diamond of this mass of material (much of which Horn said came from fair copies he made in 1891 of a collection of papers that had come down through his family) these papers would become a crown jewel of regional Americana. Alas, however, for the good faith of the Committee of the Greene County Historical Society: upon publication of the Horn Papers professional historians noted inconsistencies, anachronisms and occasions where the accounts seemed too good to be true. Julius P. Boyd of Princeton was the most distinguished voice to level the charge that a large portion of the papers, "including diaries, maps, court records, memorandums, and even lead plates and hieroglyphs, are sheer fabrication." Other historians remained convinced of the papers' authenticity and a committee of historians was convened to investigate; it was Arthur Middleton and Douglass Adair who in 1947 published "The Mystery of the Horn Papers" in the William and Mary Quarterly (October, 1947 and later collected as "The Case of the Men Who Weren't There" in The Historian as Detective, 1968) which established definitively (and in part with novel forensic techniques) that the papers and artifacts were forgeries, and--though the Middleton and Adair are careful not to say so directly--that W. F. Horn was almost certainly their author and fabricator. "The fantastic counterfeiter, whoever he was, and whatever his genuine abilities as a student of regional history were, is henceforth disqualified among scholars. . . . 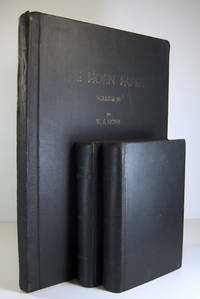 Beyond a doubt, also, the impressive first and second volumes of The Horn Papers which, by reason of this investigation, now seem worthless to their purchasers will in time become collectors' items in the field of literary curiosities" (Middleton and Adair). To add to this welter of confusion, it appears that the Atlas volume reproduces a few genuine early maps of value to the scholar and remains a useful compilation. Extensive notes in ink in the rear endpapers (and the final page of text in vol. 1) of the first two volumes; the notes appear to take the contents at face value. Taffet, Gershon; Friedman, Philip [Introduction]. EXTERMINATION OF POLISH JEWS - ALBUM OF PICTURES. ZAGLADA ZYDOSTWA POLSKIEGO - ALBUM ZDJEC. UNICHTOZHENIE EVREEV V POL'SHE - AL'BOM SNIMKOV. EXTERMINATION DES JUIFS EN POLOGNE - ALBUM DE PHOTOGRAPHIES. Little Neck, NY: Ramborn Corporation, 1945. First edition. Hardcover. Near fine/Very good. Ana MAe Seagren. Elephant folio: 14 by 19 inches. Cloth spine, color pictorial boards. 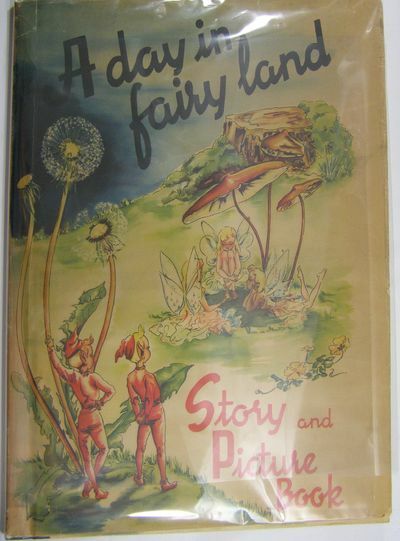 18pp, alternating colorful decorated text page with full color illustrations of fairies at play by Ana Mae Seagren. A near fine copy with only a trace of soil and wear; The dustwrapper has had some repair of closed tears, mostly on the back, and so shows a very good appearance. Not often seen in such nice condition. 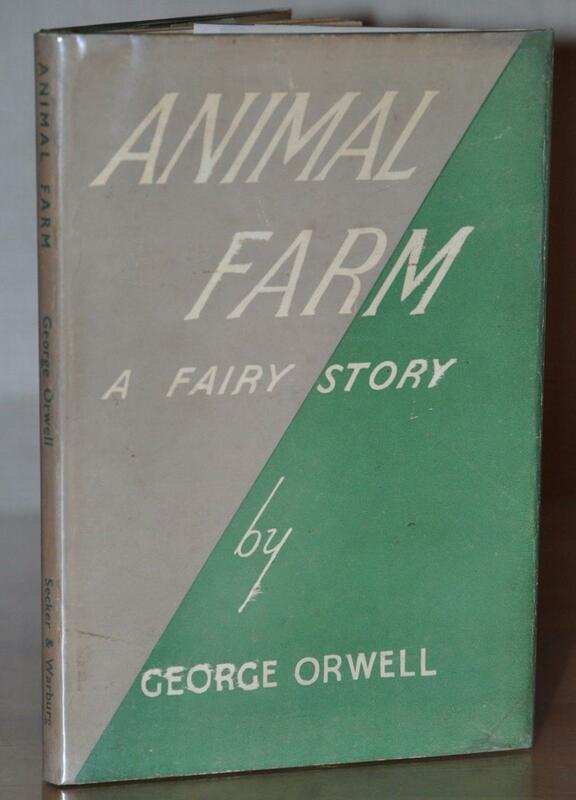 London Fortune Press 1945 [but 1965] Second (unauthorized) Edition. Tall, slim 8vo: ,36pp. 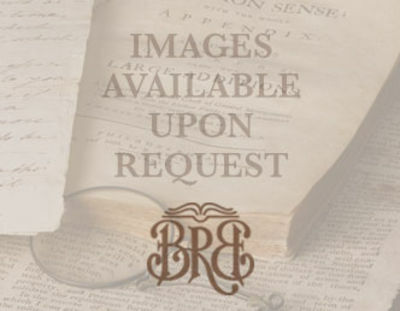 Publisher's maroon buckram (some copies bound in brownish-orange buckram, no priority known), spine lettered in gilt, bottom edge untrimmed; beige dust jacket (Bloomfield calls it pale orange, but to my eye there is very little, if any, orange in it) printed in black, priced 21s. Possibly run off from the same plates as the first edition, with this copyright page still reading "First Published 1945," though this edition appeared in a larger format than the original (9 1/8'' x 5 5/8'' vs. 7 1/8 x 5"). A virtually pristine, unread copy, completely free of foxing and wear, in Fine jacket. Bloomfield A1(b). Fine ¶ Originally published, by the Fortune Press, in 1945. 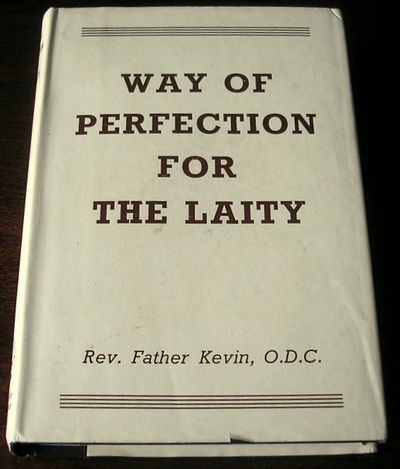 This pirated edition, limited to 500 copies, was issued in advance of the authorized Faber & Faber release, which appeared in 1966 but was swiftly withdrawn when Larkin discovered its existence. By 1972, according to Bloomfield, the publisher still had 220 copies in stock, but these had no dust jackets, which "had inadvertently been destroyed." Larkin's first major collection of  poems, The North Ship is often criticised for its high-flown Yeatsian rhetoric, but it is, essentially, a wartime collection of poems and its significance lies primarily in its elegiac lyricism and withdrawn but tenacious sense of survival." 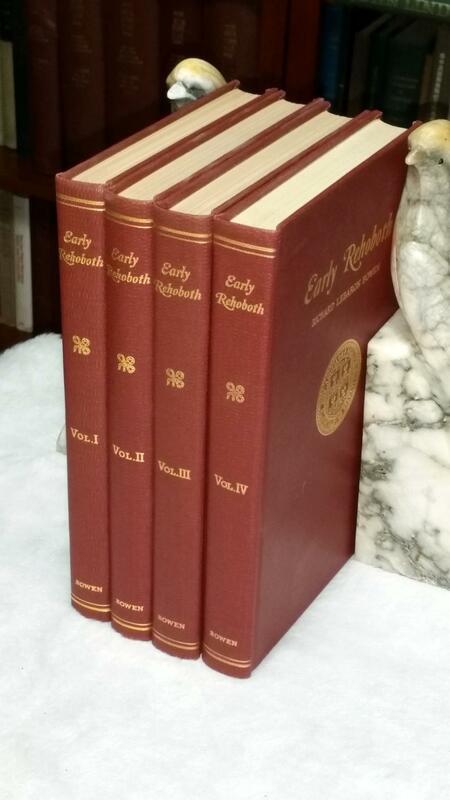 (Literary Encyclopedia) N. B. With few exceptions (always identified), we only stock books in exceptional condition, with dust jackets carefully preserved in archival, removable polypropylene sleeves. All orders are packaged with care and posted promptly. Satisfaction guaranteed. 1945. First Edition . Signed. SMYTH, Henry DeWolf. A General Account of the Development of Methods of Using Atomic Energy for Military Purposes under the Auspices of the United States Government 1940-1945. [Washington: Government Printing Office], 1945. Quarto, original cream paper wrappers, staple-bound as issued. 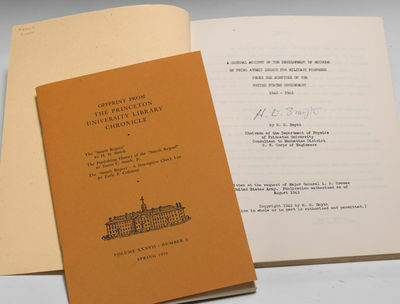 $8500.Rare 1945 lithoprint of the Smyth Report on the creation of the atom bomb, preceding the first published version, signed by Henry DeWolf Smyth on the title page, complete and in original wrappers, one of only 1000 copies printed, accompanied by the Offprint from the Princeton University Library Chronicle with Smyth's account of the production of this historic lithoprint.This is the rare lithoprint version of the first account of the Manhattan Project and the creation of the atomic bomb, as documented from 1944 to 1945 in this Official Report chiefly authored by the Chairman of the Department of Physics at Princeton, Henry DeWolf Smyth. 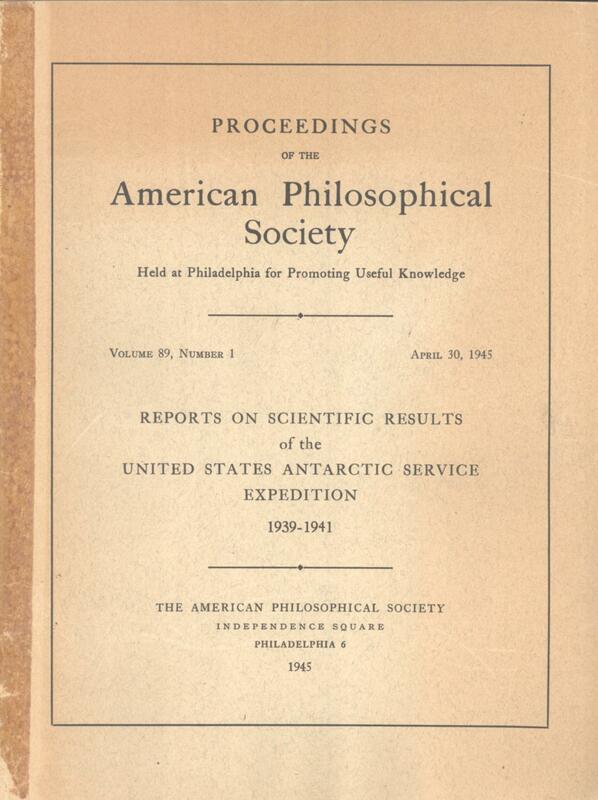 This exceptional work became known as the Smyth Report. According to Smyth's account of this Report's production, as soon as the lithoprint version was printed in the Adjutant General's Office in 1945, copies ""were immediately slapped into the safe in General Groves' office in the Pentagon because their content was still classified TOP SECRET and remained so until August 11, when the whole report was made public by President Truman's order"" (Offprint, 180). The Smyth Report is renowned for its ""remarkably full and candid account of the development work carried out between 1940 and 1945 by the American-directed but internationally recruited team of physicists, under the code name 'Manhattan District,' which culminated in the production of the first atomic bomb"" (PMM 422). 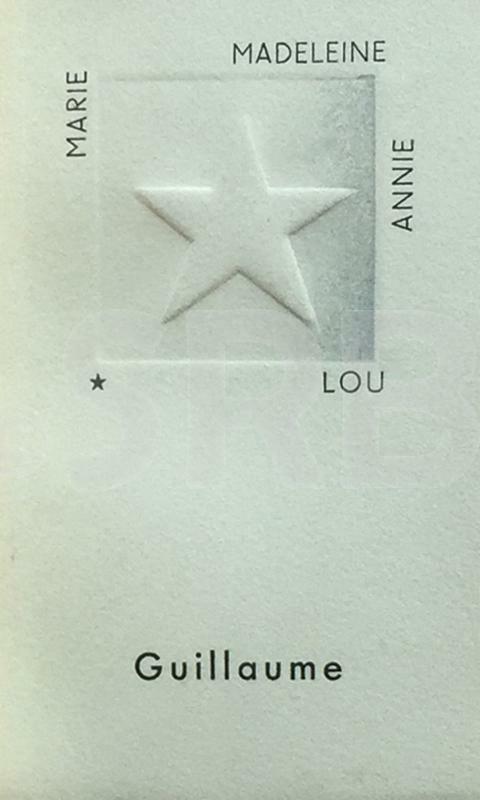 Lithoprint version: without the ""two-word major titleÂ… [that] appears on the certificate of copyright"" (Offprint, 185). This lithoprint was produced from stencils made by several typewriters in the Adjutant General's Office, along with a virtually unobtainable 12-chapter mimeograph version and a very small number of ditto printings. Smyth recalls that only ""one thousand copies were made"" of the lithoprint version (Offprint, 180). Once the Smyth Report was declassified (six days after the bombing of Hiroshima and three days before the declaration of war's end), it was issued by both the Government Printing Office and Princeton University Press in the first published editions. Accompanied by a copy of the Offprint from Princeton University Library (1976), containing: Smyth's ""The 'Smyth Report,'"" Datus C. Smith, Jr.'s ""Publishing History of the 'Smyth Report,'"" and Earle E. Coleman's ""The 'Smyth Report': A Descriptive Check List."" PMM 422(e). Coleman 3, 213. Norman 1962. A fine copy of this important report, most rare signed. A Scenic and Recreational Map of Santa Barbara. / A Scenic and Recreational Map of Santa Barbara County. 12- 1945. Color pictographic / pictorial map, 13 1/2 x 16 inches on sheet size 16 1/2 x 19 inches. Signed by artist in pencil at lower right. A few creases to upper margin and lower right corner, small spot to upper right margin (outside map area); very good. An attractive pictorial map by W. J. Goodacre of the city of Santa Barbara bordered by vignette illustrations of various missions and houses. Many streets are named with little pictographs representing buildings and places such as the Santa Barbara bowl, the S.P. Depot, many hotels and the riding club. At lower right is pencilled "W.J. Goodacre", likely the artist's signature. An uncommon map. enjoyed constant media exposure"" (Treu, Signs, Streets, and Storefronts: A History of Architecture and Graphics Along America's Commercial Corridors, 165). Machines for Selling includes tabbed sections on Drugs, Foods, Jewelry, Furniture, Hardware and Appliances, Women's Apparel, Men's Clothing, Shoes, Variety Stores, Restaurants, Service Stores, Sporting Goods, Theatres, Flowers, and Candies. Stamp of the Buffalo Plate & Window Glass Corp on front wrapper.Interior fine, mild toning and wear to fragile paper wrappers, wrappers separating from original portfolio; portfolio with rubbing and soiling. An extremely good copy. 1945. Signed. MACARTHUR, Douglas. Photograph signed. Washington, 1945. Black-and-white photograph, measuring 5 by 4 inches. $1600.Original black-and-white U.S. Army news photograph of General MacArthur wading through the marshes of Borneo, signed by both Douglas MacArthur (as D. MacA.) and George C. Kenney.The photograph, dated Â“6/11/45,Â” shows General MacArthur leading officers through the marshes of Brunei in the process of inspecting the Australian troops who captured the area. Also identifiable in the photograph are RAAF Commander and Air Vice-Marshal William Bostock and General George C. Kenney, the Commanding General of the Far Eastern Air Forces. Tiny file number printed at bottom corner of image. Original printed Army caption and faint pencil number on verso.A handsome signed photograph in fine condition. Browne and Nolan, 1945. First printing hardcover. The book is very good with shelfwear, lightly bumped and rubbed corners and the owner's name inside. The mylar protected dust jacket is good plus with rubbing, edgewear (including a few small tears) and some soiling or heavy rubbing to the back cover. A nice example of a very scarce book.. Hard Cover. Very Good/Good. Chants secrets [Le condamné à mort, Marche funèbre]. Couverture ornée d'une lithographie d'Emile Picq. Lyon, L'Arbalète, Marc Barbezat, 20 mars 1945. Ljubljana, Slovenia: Slovenski knjizni zavod OF [Slovenian Book Office of the Liberation Army] . 1945 - 8°, 30 pp.,  printed map, original green wrappers with illustrated cover (Very Good, slightly age-toned). 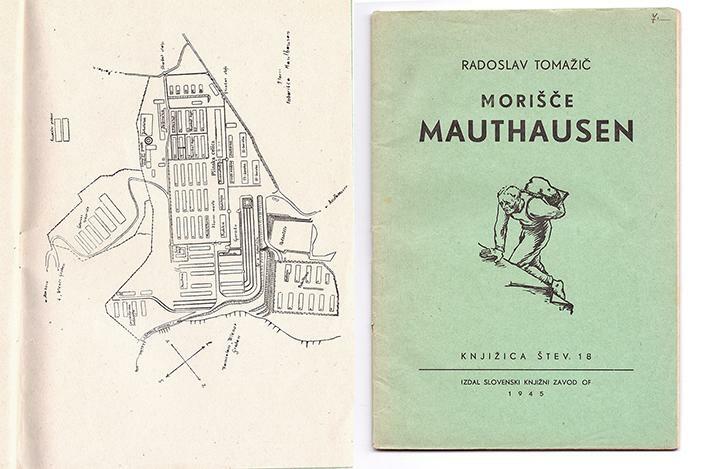 First hand account, by a concentration camp survivor, published right after the liberation, with a map of the camp. The book on the Mauthausen concentration camp describes the details from the life in the concentration camp, especially in the last months, when the number of the prisoners was raising drastically and the conditions worsened to the extreme. Different chapters give information on cruelties from the experimental hospital, cannibalism among prisoners etc. The author briefly worked as a translator between Allies and captured Nazi guards after the liberation. The last chapter describes one of the interviews. The detailed small map on the last page gives detailed documentary information on the Mauthausen concentration camp. 1945. Signed. ROOSEVELT, Eleanor. Four typed letters signed. Hyde Park, March 19, 1951; Hyde Park, July 8, 1952; Hyde Park, February 23, 1954; and New York, January 24, 1956. Four sheets, each measuring 6 by 7 inches, typing on rectos only. With original envelope. $3500.Exceptional series of four typed letters signed by Mrs. Roosevelt to Miss Temple Williams, an African-American nurse from Alabama.Written on stationery from Mrs. RooseveltÂ’s residence at Hyde Park and her residence in New York City, each letter is typed and has been signed by Eleanor Roosevelt. The first letter reads in part: Â“It is good of you to offer to send me a ham. We raise pigs and have our own hams. I do, however, appreciate your thought.Â” The second and third letters pertain to a nursesÂ’ meeting the letter writer is planning to attend in Warm Springs, Georgia, where Franklin Roosevelt spent much time recovering from polio. The third letter reads in part: Â“Warm Springs is a place close to the hearts of many and whatever you might say about it would, I am sure, meet with touching approval and appreciation.Â” The fourth letter thanks the writer for her letter. Original envelope dated February 26, 1954; it bears RooseveltÂ’s free franking stamp. Only lightest soiling. A near-fine collection of signed letters from Eleanor Roosevelt. Antwerp V1 and V2 Attack. Fall of Shot on Arrondissement of Antwerp from 7 Oct 44 to 30 March 45. ?Antwerp: , 1945. 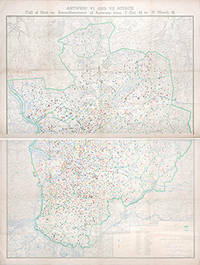 Lithographically printed map on 2 sheets (each 720 × 1023 mm) of thin paper-stock, outline and missile hits hand-coloured. Just a little used, light creases from old folds, one sheet with a split along the median fold, now professionally repaired, residual adhesive staining from old cellophane tape repair, pale toning, very good. Remarkable graphic representation of the employment of German rocketry in the intense, last-ditch defence of the key port of Antwerp during the Allied invasion of Europe. Large-scale (1:40,000) map showing Vengeance Weapon attacks on the city, locating the impact sites for the V1s and V2s that fell during the six month period, recorded by type and as "landfall only" or "causing incident". 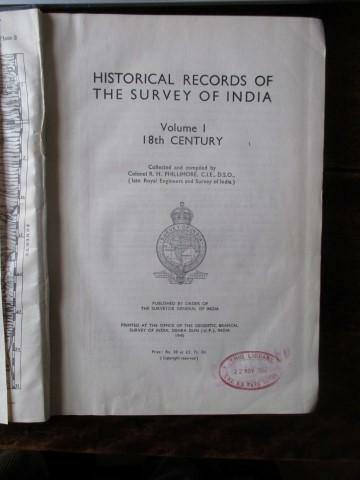 Annotated at a later date by a British officer who served in the city during the period; "Antwerp was hit by 1675 V2s, London 518, England 1115; 26 fell on Antwerp on one day, twice, Dec 23 & 26 1944. (Crossbow-Overcast by McGovern Hutchins, p.264)". In his history of The Second World War, Churchill offers more complete figures; "German records show that by the end of the war Antwerp had been the target for 8,696 flying bombs and 1,610 rockets. 5960 of all of these fell within eight miles of the city centre, and between them they killed 3,470 Belgian citizens and 682 Allied Service-men", remarking that "the people of Belgium bore this senseless bombardment in a spirit equal to our own" (VI, p.49) Extremely uncommon, just two copies traced - IWM and University of Antwerp. The map is accompanied by a later seven-page account - oddly part manuscript, part photocopy - of a British RAOC officer's account of his services with 7 Base Sub Area under Gen. Neil McMicking, establishing logistical services from the D-Day landings, through Caen and Le Havre to Antwerp, including some hair-raising anecdotes. Imposing and highly unusual. Soviet propanda poster - Great Patriotic War, TASS, 1945. Soviet propanda poster - TO THE HEROES OF THE SKY!Template painted poster (nr. TASS 1288) after the design by A. Plotnov, made in (August?) 1945.Officers watching air display and parachute landings?Glory to the masters of the high sky,To the brave commanders of military exploits:To the valiant pilots, Stalin?s falconsTo the proud heroes, to the soldierconquerors.? ?Author: A. Zharov. Artist: A. Plotnov. Dimensions: 159 x 86,5 cm.The major role in Soviet poster art in the war was played by the TASS Windows. They were large, brightly coloured, hand-painted posters, stencilled and produced in runs of up to 1000 copies. They usually were accompanied by a didactic text or often quite lengthy poem. They were the direct descendants of the comparable ROSTA Windows of the Civil War period, so-called because they were displayed in the empty shop-windows of that period. Like ROSTA, TASS was the official Soviet telegraphic agency of the day, and the purpose of the association of this propaganda effort with the agency was both to provide a continuing visual chronicle of the war and to respond immediately, often within hours to the latest telegrams of TASS. M M Chermnykh, who had initiated the ROSTA Windows, also took the lead in the 1941 project. On 24 June the organisational committee of the Union of Soviet Artists established the TASS Window collective and the first poster appeared already on 27 June 1941. The Windows were numbered through to no. 1485 in June 1945. About 1250 were made in the original manner with stencils during the war itself.The theme and the text of each TASS Window were agreed with the leader of the collective, and ultimately with the agreement of TASS. TASS was the official news agency for dissemination of Soviet news abroad and for reception of news from abroad and consequently was strictly controlled by the Party. Most posters were completed and reproduced within 24 hours, the team working in three shifts. After the artist had completed the drawing and painting of the illustration, the poster was cut up into sections and stencils were cut out appropriate to each colour used in the composition. The most elaborate posters used up to 60 stencils. The stencils were then passed to the copy room where each section was copied on a lithographic machine in waterproof oil colours, initially in very few copies but eventually in up to 1000 copies. When all the colours had been applied to each stencilled section, they had to be glued together to make the completed poster and the text was added in a separate operation.The Hallward Library of the University of Nottingham holds a large collection of TASS Posters. For more information, the collection is described in detail here.Price: ?3.000,- (incl. frame, excl. VAT/BTW). Budapest: NP, 1945. First edition. Softcover. f to g+. Folio. Unpaginated. pp. Original printed wrappers. Extremely rare document published by the Jewish community of Pest for commemorating Raoul Wallenberg's life saving activities during the Holocaust in Hungary. 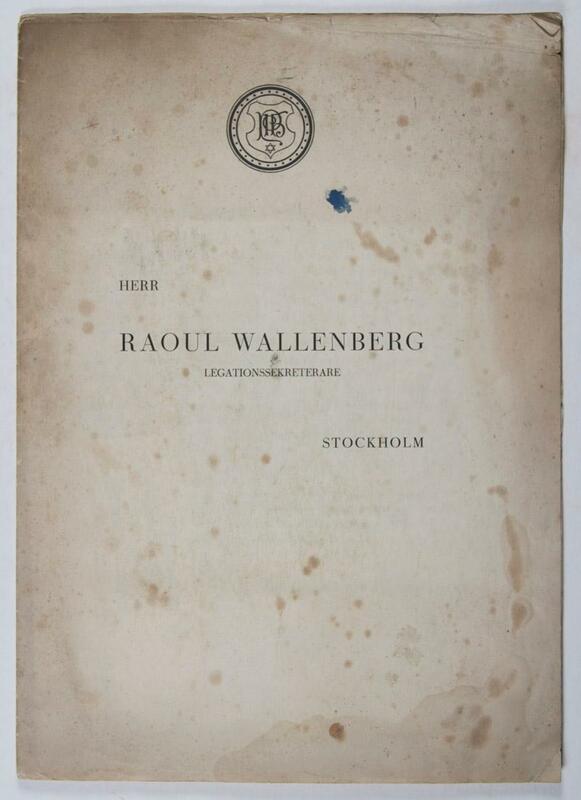 This work contains an official letter to Wallenberg dated July 2, 1945, and the extract of the commemoration gathering that was held on June 21, 1945. Both documents are in Swedish and Hungarian. In the letter, the leaders of the Jewish community of Pest summarize the Wallenberg commemoration gathering, they express their utmost respect for the Swedish diplomat's tireless deeds in the life saving activities he achieved during the time of the persecution of the Hungarian Jewry. They also inform Wallenberg that a ward in the reconstructed Jewish Central Hospital will be named after him. They end their letter by wishing Wallenberg a healthy, long and successful life, and assuring him of the eternal gratitude of the entire Hungarian Jewry. The letter bears the printed names of Miksa Domonkos*, and Lajos Stöckler**, respectively Administrator and Chairman of the Jewish Community of Pest. The second part of the document is the official extract of the commemoration gathering. This document was sent to Raoul Wallenberg's address (Legationssekreterare, Stockholm) in Sweden as his whereabouts was still unknown at the time.&#11;&#11;Now we know that at the time this document was issued, Raoul Wallenberg was detained (since January 17, 1945) by Soviet authorities on suspicion of espionage and subsequently disappeared. He was later reported to have died on 17 July 1947 while imprisoned by communist authorities and KGB secret police in the Lubyanka, the KGB headquarters and affiliated prison in Moscow. Heavy foxing and sunning to wrappers. Upper margin of front cover partly creased. Sporadic and moderate foxing and age-toning along paper margin throughout. Text in Swedish and Hungarian. Wrappers in overall fair, interior in good to good+ condition. * On April 7, 1953, early in the morning, Miksa Domonkos, one of the leaders of the Jewish community in Budapest was kidnapped by State Protection Authority (Államvédelmi Hatóság, ÁVH) officials to extract "confessions". Preparations for a show trial started in Budapest in 1953 to prove that Raoul Wallenberg had not been dragged off in 1945 to the Soviet Union but was the victim of cosmopolitan Zionists. For the purposes of this show trial, two more Jewish leaders - László Benedek and Lajos Stöckler** - as well as two would-be "eyewitnesses" - Pál Szalai and Károly Szabó - were arrested and interrogated by torture. The last people to meet Wallenberg in Budapest were Ottó Fleischmann, Károly Szabó, and Pál Szalai, who were invited to a supper at the Swedish Embassy building in Gyopár street on January 12, 1945. The next day, January 13, Wallenberg contacted the Russians. By 1953, Ottó Fleischmann had left Hungary, working as a physician in Vienna. On 8 April, 1953, Károly Szabó was captured on the street and arrested without any legal procedure. His family had no news of him throughout the following six months. A secret trial was conducted against him of which no official record is available to date. After six months of interrogation, the defendants were driven to despair and exhaustion. The idea that the "murderers of Wallenberg" were Budapest Zionists was primarily supported by Hungarian Communist leader (by origins Jewish) Ern Ger , which is shown by a note sent by him to First Secretary Mátyás Rákosi (Jewish too). The show trial was then initiated in Moscow, following Stalin's anti-Zionist campaign. After the death of Stalin and Lavrentiy Beria, the preparations for the trial were stopped and the arrested persons were released. Miksa Domonkos spent a week in hospital and died shortly afterwards at home, mainly due to the torture he had been subject to. 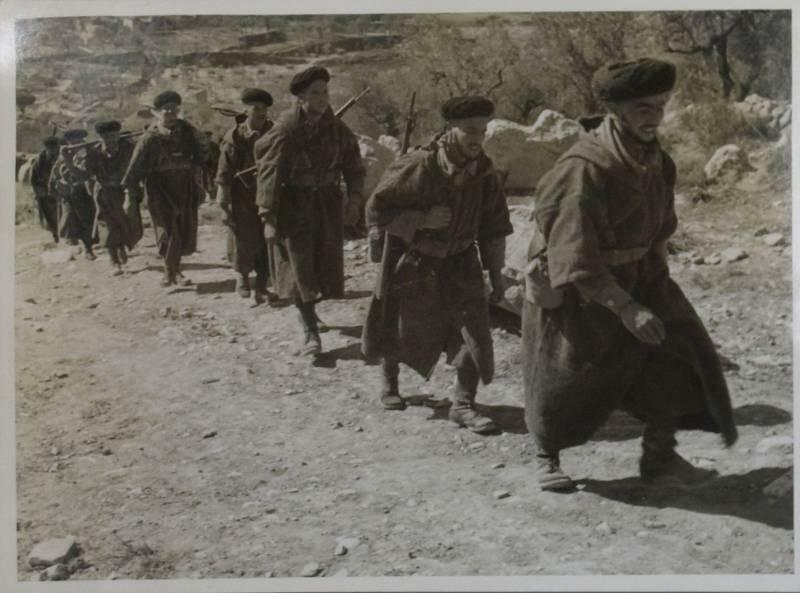 Plaque for British Soldiers on Mount Camino paid for by Moroccan Groums [Soldiers] in 1945. N. p., 1945. - Seven photos and a mimeo letter mounted on four pages of a tied homemade album with paper covers. Photos approximately 160 x 110 mm. Inked caption beneath each photo. The rest of the album pages are blank. Oblong folio. A mimeo letter from Headquarters, 169 (Lon) Inf Bde states that members of their brigade scaled Mount Camino and routed the Germans from an old Benedictine Monastery on the top in November 1943. When the Moroccan Goums arrived in the area in the Spring of 1944 they were so impressed with the mountain warfare of the British troops that they subscribed for a plaque to be placed on top of the mountain honoring the British soldiers. These seven professional quality photos which the mimeo letters says are "enclosed" were taken at the dedication of the plaque. The photos show Moroccan troops, the 8th Army commander, and the plaque. 1945. Signed. TRUMAN, Harry. Message of the President of the United States to the Congress. Thursday, September 6, 1945. [Washington]: U.S. Government Printing Office, 1945. Octavo, staple-bound as issued, original self-wrappers; pp. 32. 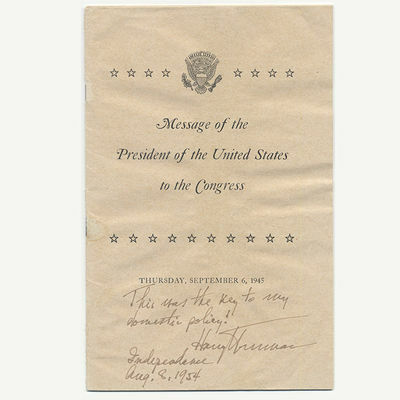 $7500.First printing of Truman's plan for a postwar America, delivered to Congress on September 6, 1945, inscribed on the front wrapper: ""This was the key to my domestic policy! Harry Truman. Independence. Aug.8, 1954. ""Only four days after officials signed the Japanese Instrument of Surrender aboard the U.S.S. Missouri on September 2, 1945, President Truman addressed a joint session of Congress on the important issues of demobilization and transitioning the United States to a peacetime economy. Truman opens his address by apologizing for cutting short Congress' recess: ""I know, however, that you have been just as eager as any of us to meet the problems which naturally have crowded down upon us with the surrender of the Japanese. You have cut short a well-merited vacation in order to do so. I hope that the American people realize as fully as I do, that from the very first days of the emergency, the Congress has most energetically and patriotically devoted its time, energies, and capabilities to the immediate problems of war and to the long-range problems of peace. The legislative branch of the Government is entitled to its full share of credit and glory for the victory of the Allied armies. I wish to take this opportunity on behalf of the Nation to congratulate you on the great victory which has been wonÂ—in which you played so important a part. ""In his wide-ranging address, Truman sought Congressional action to offset the typical problems endemic to wartime to peacetime transitions, including unemployment, inflation, and general economic policy: ""No matter how rapidly reconversion proceeds, however, no amount of effort or planning will be able immediately to provide a job for everyone displaced from war work. Obviously, displaced war workers cannot find jobs until industry have been regeared and made ready to produce peacetime good. During this lag the Government should provide help. The cost of this transition from war to peace is as much a part of the cost of war as the transition from peace to warÂ—and we should so consider it. ""Looking beyond the difficulties of postwar economic disruptions, Truman laid the groundwork to protect the United States from some of the issues it confronted when war was declared in 1941. One area he cited for more decided government support was scientific research: ""Progress in scientific research and development is an indispensable condition to the future welfare and security of the Nation. The events of the past few years are both proof and prophecy of what science can doÂ… No nation can maintain a position of leadership in the world of today unless it develops to the full its scientific and technological resources. No government adequately meets its responsibilities unless it generously and intelligently supports and encourages the work of science in its university, industry, and in its own laboratoriesÂ…. Although science can be coordinated and encouraged it cannot be dictated to or regimented. Science cannot progress unless founded on the free intelligence of the scientist. I stress the fact that the Federal research agency here proposed should in no way impair that freedom. ""Truman also sought to ensure that in the event of another war, the United States would not be caught unprepared for want of critical raw materials: ""One of the costliest lessons of our unpreparedness for this war was the great danger involved in depending upon foreign sources for supplies of raw materials necessary in times of national emergency. The United States should never again permit itself to be placed in a position where its defense may be jeopardized by the fact that it has been cut off from the source of strategic raw materials. I recommend that the Congress enact legislation to bring about he acquisition and retention of stock piles of materials in which we are naturally deficient but which are necessary to supply the needs of the Nation for its defense."" Tiny dampstains to wrappers. Very nearly fine condition. ROOSEVELT Eleanor ROOSEVELT Franklin D.
1945. (ROOSEVELT, Franklin D, ROOSEVELT, Eleanor, STIMSON, Henry). Joseph Lash Archive. WITH: (ROOSEVELT, Eleanor). Autograph note signed; (ROOSEVELT, Franklin) Three notes typed; (STIMSON, Henry L.) Typed letter signed. Washington, D.C. / [Warm Springs]: White House / War Department, 1945. Seven items. Presidential archive, original typed letter on ivory War Department letterhead, printed Â“Secret,Â” signed by Secretary of War Stimson; three original typed memos on ivory White House letterhead, plain envelope addressed in type and manuscript; single autograph note signed on small ivory card printed Â“Mrs. Roosevelt,Â” small White House envelope addressed in manuscript. $5000.1945 archive of rare presidential materials largely concerning charges of communism aimed at Eleanor RooseveltÂ’s intimate friend and future biographer Joseph Lash, including a typed letter to FDR on War Department letterhead printed Â“SECRET,Â” signed by Secretary of War Stimson, informing FDR of congressional inquiries about Lash from from a special committee on Â“subversive personnelÂ”Â—prompting FDR to write three urgent memos from Warm Springs, one to Stimson telling him to Â“take no action,Â” one to Eleanor Roosevelt about Â“the same crowdÂ… trying to Â‘getÂ’ Joe,Â” and a third to his son-in-law John Boettiger asking him to contact Stimson, the latter memo dated only three days before FDRÂ’s sudden death from a cerebral hemorrhage, also containing a warm autograph note signed by Eleanor Roosevelt to her son-in-law Boettiger.This rare archive of presidential materials largely concerns Joseph Lash, Pulitzer Prize-winning biographer of Franklin and Eleanor Roosevelt, whose friendship of over 20 years with the First Lady was one that her daughter, Anna Roosevelt Boettiger, called Â“as close a relationship as I ever knew Mother to have.Â” Lash, who Â“had been swept up in the revolutionary fervor of the 1930s,Â” was a one-time member of the Socialist Party and Â“had served as national secretary of the American Student Union, a militant popular-front organization committed to radical changeÂ” (Kearns Goodwin, No Ordinary Time, 122). Lash met Mrs. Roosevelt in 1939 when he was called to testify in 1939 before the anti-communist Dies Committee. The two quickly became closeÂ— sharing an intimate yet platonic friendship that would attract the interest of J. Edgar Hoover and the FBI. After the U.S. entered the war, Mrs. Roosevelt intervened on LashÂ’s behalf and Â“pulled strings in an attempt to get him a commission in Naval Intelligence. But, given his Â‘suspected communist affiliations,Â’ the Navy didnÂ’t want him, in any capacity, and in April 1942 Lash was drafted into the ArmyÂ” (Gentry, J. Edgar Hoover, 304). This fascinating archive, featuring a typed 1945 letter to FDR, printed Â“SecretÂ” and signed by Secretary of War Henry L. Stimson, raises afresh the implications of LashÂ’s radical past and his friendship with both the President and First Lady. 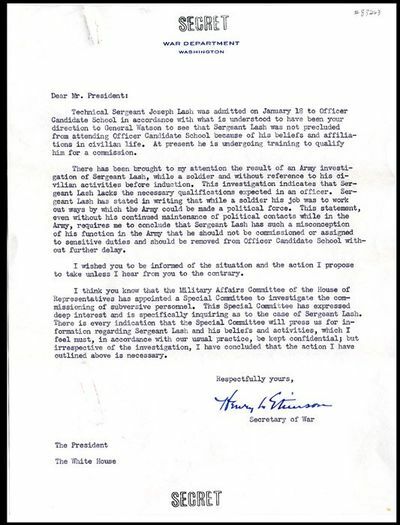 In StimsonÂ’s letter he observes that FDR had directed that Sergeant Lash be Â“not precluded from attending [Army] Officer Candidate School because of his beliefs and affiliations in civilian life.Â” Facing news of a fresh Army investigation, Stimson recommends Lash Â“should be removed from Officer Candidate School without further delay.Â” In three subsequent memos from FDR, typed on on White House stationary with each signed in type by FDR, he separately urges Stimson to take no immediate action on Lash and individually urges both Eleanor Roosevelt and the RooseveltsÂ’ son-in-law Colonel John Boettiger to find out who is again Â“trying to Â‘getÂ’ JoeÂ… probably the same crowd.Â” FDRÂ’s memos are dated during his stay in Warm Springs, at a time when he was planning a trip on April 20 to San Francisco for the opening session of the United Nations. At the time of his correspondence, Eleanor was in Hyde Park. Three days after FDRÂ’s April 9 memo to Boettiger, the President suddenly collapsed and died from a cerebral hemorrhage. Joseph Lash would become a distinguished historian, writing biographies of figures such as Dag Hammarskjold and Helen Keller. Â“But it was Eleanor and Franklin, the first installment in his two-volume biography of Mrs. Roosevelt, that won him the most enduring fameÂ” and earned him the Pulitzer Prize (New York Times). Also included in this archive is a separate autograph note signed by Eleanor Roosevelt to John Boettiger. A full description and transcription of materials in the archive follows.I. Typed letter signed by Henry L. Stimson, Secretary of War, to President Roosevelt. On single sheet of ivory War Department letterhead with Â“SecretÂ” printed in uppercase at upper and lower edges. Typescript on recto only reads: Â“Dear Mr. President: Technical Sergeant Joseph Lash was admitted on January 18 to Officer Candidate School in accordance with what is understood to have been your direction to General Watson to see that Sergeant Lash was not precluded from attending Officer Candidate School because of his beliefs and affiliations in civilian life. At present he is undergoing training to qualify him for a commission. There has been brought to my attention the result of an Army investigation of Sergeant Lash, while a soldier and without reference to his civilian activities before induction. This investigation indicates that Sergeant Lash lacks the necessary qualifications expected in an officer. Sergeant Lash has stated in writing that while a soldier his job was to work out ways by which the Army could be made a political force. This statement, even without his continued maintenance of political contacts while in the Army, requires me to conclude that Sergeant Lash has such a misconception of his function in the Army that he should not be commissioned or assigned to sensitive duties and should be removed from Officer Candidate School without further delay. I wished you to be informed of the situation and the action I propose to take unless I hear from you to the contrary. I think you know that the Military Affairs Committee of the House of Representatives has appointed a Special Committee to investigate the commissioning of subversive personnel. This Special Committee has expressed deep interest and is specifically inquiring as to the case of Sergeant Lash. There is every indication that the Special Committee will press us for information regarding Sergeant Lash and his beliefs and activities, which I feel must, in accordance with our usual practice, be kept confidential; but irrespective of the investigation, I have concluded that the action I have outlined above is necessary. Respectively yours, [signed in manuscript] Henry L. Stimson [typescript] Secretary of War. [At lower left] The President. The White House.Â”II. Three typed notes signed in type by FDR. Each on ivory White House letterhead, each measuring 5 by 8 inches, each with typescript on recto only. Typescript: Â“April 6, 1945. MEMORANDUM FOR THE SECRETARY OF WAR [uppercase in original] Please take no action in regard to Sergeant Lash continuing at Officer Candidate School until my return. [signed in type] F.D.R.Â” Typescript: Â“April 6, 1945. MEMORANDUM FOR E.R. [uppercase in original] The enclosed took me entirely by surprise this morning. Apparently they (probably the same crowd) are trying to Â‘getÂ’ Joe. I think that speed is essential and I wired Stimson today to do nothing further about withholding his commission until I get back. In the meantime, I think it important that you should see Stimson about it. His former connections apparently had nothing to do with the case and the evidence is apparently new in regard to his political activities. Exactly what this evidence is, I have no way of telling. Therefore, it seems best that you should take it up with Stimson. 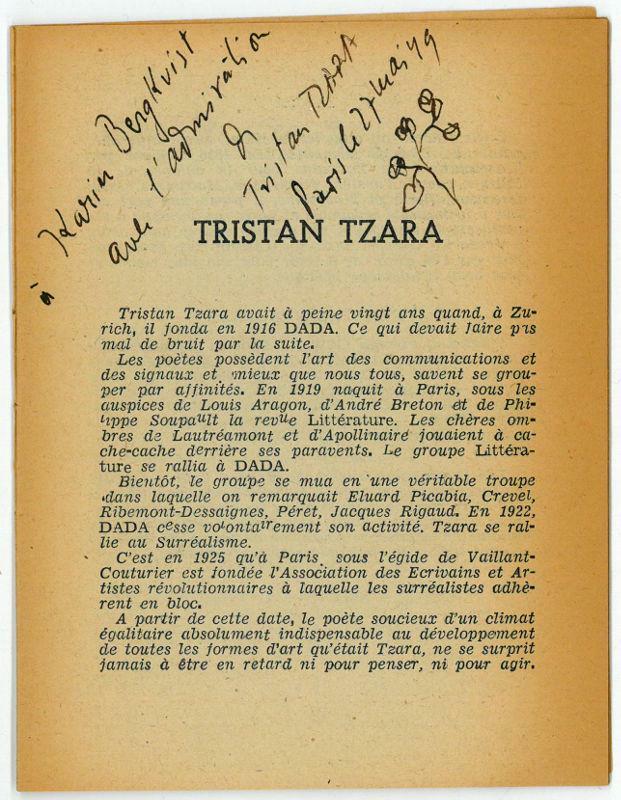 [signed in type] F.D.R.Â”Typescript: Â“April 9, 1945. MEMORANDUM FOR COLONEL JOHN BOETTIGERÂ” [uppercase in original] Dear John: In regard to the man we were speaking of the other day, I wish you would find out from the Secretary of War just what there is against him at the present time. The Secretary tells me that it had nothing to do with his opinions of several years ago, sometime before he was in the Army. [signed in type] F.D.R.Â” WITH: Plain unstamped ivory envelope (measures 4 by 9-1/2 inches), no postmark, addressed in type: Â“Miss Grace Tully, The White House, Washington, D.C.Â” Typed address crossed over in pencil and penciled above in an unidentified hand: Â“Anne Boettiger.Â” III. Autograph card signed by Eleanor Roosevelt. Ivory card (measures 2-1/2 by 3-1/2 inches) with printed Â“Mrs. 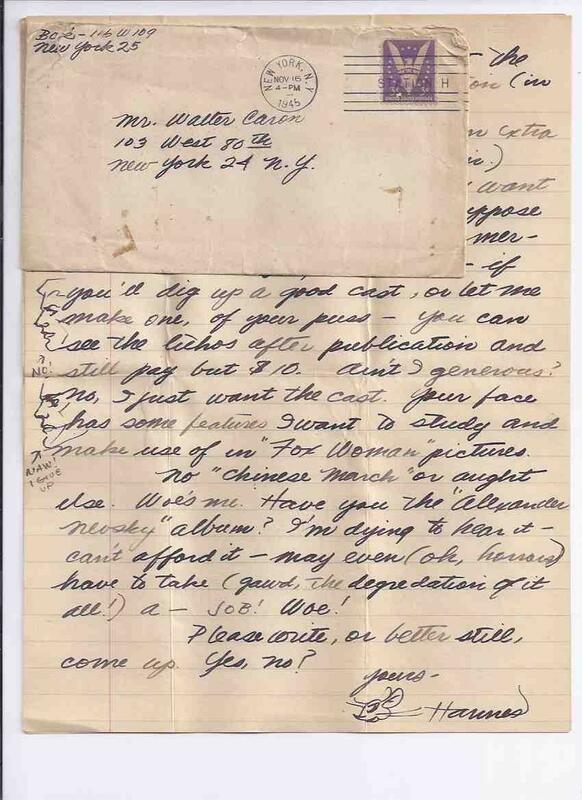 RooseveltÂ” on the recto, containing her manuscript note on the recto: Â“John dear, donÂ’t cut yourself! I enclose a pÂ— LÂ— [unclear] knife. [five unclear words] May you [unclear] be happy &amp; remember how much I love you all. L.L.Â” WITH: Small ivory envelope (measures 3-3/4 by 4-3/4 inches) with printed Â“The White House WashingtonÂ” in the upper left corner. Addressed in the manuscript hand of Eleanor Roosevelt: Â“John.Â” Archive materials fresh and clean with only faint foldlines. An exceptional collection of controversial presidential materials in about-fine condition. 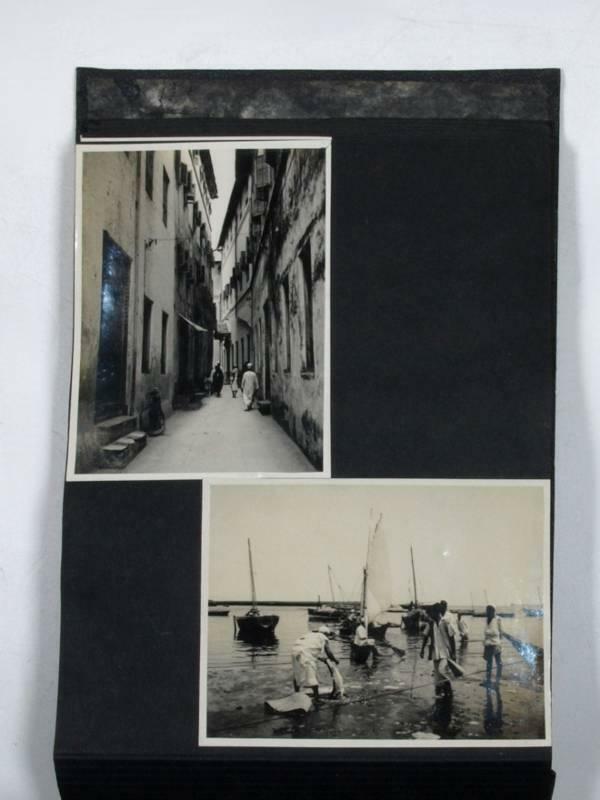 Album with photographs of Zanzibar and British-Controlled East Africa in the 1940s. East Africa, [ca. 1945]. - 77 photographs, 76 of which are pasted down two-to-a-page on both sides of 19 album leaves. 120 x 90mm, 110 x 160 mm and 210 x 160mm. Contemporary oblong black album. 4to. Many, if not most, of the photos appear to show scenes in the Stone Town section of Zanzibar Town or elsewhere on the island. Nine photos appear to have been taken in the Palace of Sultan Khalifa bin Harub, including two photographs of the Sultan. There are at least three photos of the same narrow street on which the only visible sign says "Artist Masani" followed by some Arabic text. The large "Victory Celebration" photo at the end of the album gives a detailed view of a large parade and a lot of onlookers at a major intersection in Nairobi. The second largest photo shows an unidentified group of about 40 uniformed military men (probably all or almost all British). The first several photos as well as the last several may have been taken on the mainland since they show flat, rather empty spaces followed or preceded by a few photos on an unidentified ship. - Very good quality amateur photos. Undated but probably late WWII or a bit later. No captions. Written in pencil on the back of the large photo "Victory celebration 1945 in Delamere Avenue the main street in Nairobi. English cathedral extreme right (background)" and stamped "E. A. Command (P. R. Pho S/S) Photograph". 1945. (WORLD WAR II) KANIN, Garson and REED, Carol. The True Glory. Waterloo: Universal Video, . Three items. Two 16mm reels in original tins (14 inches in diameter); modern DVD. 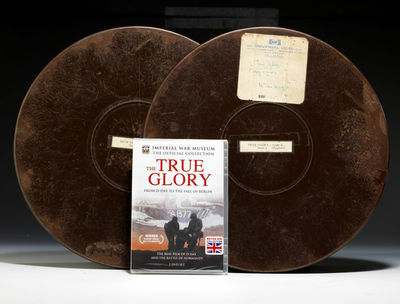 $2500.Rare original print of the epic Second World War documentary film The True Glory, Â“an account of the really important men in the campaignÂ— the enlisted soldiers, sailors and airmenÂ” (Eisenhower).This original print of the 1945 Oscar-winning full-length documentary The True Glory, chronicles the campaign to liberate Europe, covering everything from the Allied D-Day invasion of Normandy to the fall of Berlin, including the unsuccessful Â“Operation Market GardenÂ”Â— the failed northern thrust into Holland in the fall of 1944. A segment on pre-invasion preparations focuses on work in munitions and heavy equipment plants. British filmmaker Carol Reed and American playwright Garson Kanin assembled The True Glory from more than 10 million feet of actual footage captured by over 1,400 cameramen from a dozen countries. The film opens with an introduction by Dwight D. Eisenhower: Â“As far as possible [this] is an account of the really important men in the campaignÂ— the enlisted soldiers, sailors and airmen that fought through every obstacle to victory.Â” The principal narrative, delivered by Robert Harris and Peter Ustinov, is punctuated with the voices of actual servicemen, who give their own first-hand accounts of eventsÂ—making the viewing of this film an especially poignant experience. The accompanying DVD was produced in 2009 by the British Imperial War Museum. This original print of The True Glory belonged to Belgian architect Hugo van Kuyck, who during the war was responsible for aerial photographs of the proposed D-Day landing areas, using colored lenses that revealed the underwater contours of the beaches (which differed from the prevailing British hydrographic maps of the English Channel). An accompanying photocopy of a letter by former General Arthur G. Trudeau documents van KuyckÂ’s critical observation: Â“The French data had never been checked before, and when you consider that the beaches we were to land on in France had a very flat slope, and the difference between high and low tide sometimes made a difference of about a mile and a half between the actual shore line,Â…it could have been very, very embarrassing if this hadnÂ’t been found out, because there would have been many more ships that would have foundered or gotten hung up.Â”Film still very flexible and well preserved, DVD unopened. A very desirable masterpiece of documentary filming. Monterey, CA. Jo Mora Publications. 1945. Color pictographic / pictorial map poster, map 24 3/8 x 18 5/16 inches on sheet 25 x 19 inches. Professionally conserved with paper backing, very good condition. Jo Mora is perhaps the best known and well loved of all the pictorial map makers of the early and mid twentieth century. Mora experimented with printing this map on different types of paper; a few maps were printed on this tan paper before Mora settled on the glossy white paper which is the more common paper for these 1945 maps. This lively and informative map of California has place names, mountains, railroads etc marked and named, with small cartoon-like pictures (pictographs) to indicate the main attractions eg. a movie being made with a couple embracing for Hollywood, a football player for the University of California at Berkeley, and grapes and winemaking at various locations including San Bernadino and Fresno. At the upper right where Nevada would be on the map, there are pictures depicting various aspects of California life and history - all done with a great sense of humor. The frieze starts with "California's Melting Pot" depicting the people of California from historical figures (Sir Francis Drake) to the people of modern California (ending with G.I. Joes and Football Heroes). Below that is "California Transportation Throughout the Ages" from Early Spanish Caravels to "Our state-wide highway system is a mecca for tourists." In the ocean are inset pictures of the Golden Gate Bridge and S.F. Oakland Bay Bridge, and a section of 20 small images of the missions of California. 1945. First Edition . THE KAWNEER COMPANY. Machines for Selling. Niles, Michigan: Kawneer Company, circa 1948. Large, oblong folio (18 by 24 inches), original blue paper wrappers, original morocco portfolio with snap tab. $2500.First edition of this early guide to modernist architecture and design for retail, profusely illustrated with drawings and diagrams. ""In the early 1940s, the Kawneer storefront company invited architects Ketchum, Gina &amp; Sharp to remodel a full block of old commercial buildings along main street in Niles, Michigan, home of the company's plant; this new architectural firm was not ashamed to incorporate bold graphics. Store after store received the open-front treatment in the firms 1944 proposalÂ… Most of the storefront designs suggested a first story composed entirely of glass, with either a side wall or ceiling plane projecting beyond this glazing, like freestanding panels, out over the sidewalk. Free-floating display cases, some as low as coffee tables, rested in the void between the sidewalk and entrance. New wall sign lettering, significantly larger than the old and displaying great variety from business to business, announced the purpose of this design approach: to be accessible, appealing, and profitable. 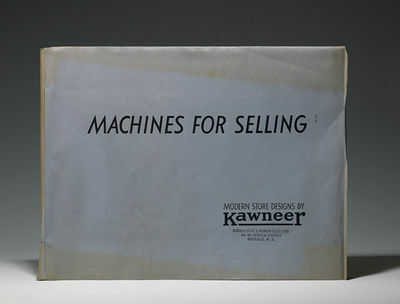 These were machines for selling, as the Kawneer ads for that year trumpeted. In 1948, Ketchum had produced enough work to publish a book that included his many drawings for proposed stores that emphasized large, recessed lobbies and angled sign panelsÂ… Ketchum's storefront designs, including his love for creative lettering and graphics carefully integrated with the design wholeÂ… enjoyed constant media exposure"" (Treu, Signs, Streets, and Storefronts: A History of Architecture and Graphics Along America's Commercial Corridors, 165). Machines for Selling includes tabbed sections on Drugs, Foods, Jewelry, Furniture, Hardware and Appliances, Women's Apparel, Men's Clothing, Shoes, Variety Stores, Restaurants, Service Stores, Sporting Goods, Theatres, Flowers, and Candies. Stamp of the Buffalo Plate &amp; Window Glass Corp on front wrapper.Interior fine, mild toning and wear to fragile paper wrappers, wrappers separating from original portfolio; portfolio with rubbing and soiling. An extremely good copy. Soviet propanda poster - TO THE HEROES OF THE SKY!Template painted poster (nr. TASS 1288) after the design by A. Plotnov, made in (August?) 1945.Officers watching air display and parachute landings?Glory to the masters of the high sky,To the brave commanders of military exploits:To the valiant pilots, Stalin?s falconsTo the proud heroes, to the soldierconquerors.? 'Author: A. Zharov. Artist: A. Plotnov. Dimensions: 159 x 86,5 cm.The major role in Soviet poster art in the war was played by the TASS Windows. They were large, brightly coloured, hand-painted posters, stencilled and produced in runs of up to 1000 copies. They usually were accompanied by a didactic text or often quite lengthy poem. They were the direct descendants of the comparable ROSTA Windows of the Civil War period, so-called because they were displayed in the empty shop-windows of that period. Like ROSTA, TASS was the official Soviet telegraphic agency of the day, and the purpose of the association of this propaganda effort with the agency was both to provide a continuing visual chronicle of the war and to respond immediately, often within hours to the latest telegrams of TASS. M M Chermnykh, who had initiated the ROSTA Windows, also took the lead in the 1941 project. On 24 June the organisational committee of the Union of Soviet Artists established the TASS Window collective and the first poster appeared already on 27 June 1941. The Windows were numbered through to no. 1485 in June 1945. About 1250 were made in the original manner with stencils during the war itself.The theme and the text of each TASS Window were agreed with the leader of the collective, and ultimately with the agreement of TASS. TASS was the official news agency for dissemination of Soviet news abroad and for reception of news from abroad and consequently was strictly controlled by the Party. Most posters were completed and reproduced within 24 hours, the team working in three shifts. After the artist had completed the drawing and painting of the illustration, the poster was cut up into sections and stencils were cut out appropriate to each colour used in the composition. The most elaborate posters used up to 60 stencils. The stencils were then passed to the copy room where each section was copied on a lithographic machine in waterproof oil colours, initially in very few copies but eventually in up to 1000 copies. When all the colours had been applied to each stencilled section, they had to be glued together to make the completed poster and the text was added in a separate operation.The Hallward Library of the University of Nottingham holds a large collection of TASS Posters. For more information, the collection is described in detail here.Price: ?3.000,- (incl. frame, excl. VAT/BTW).